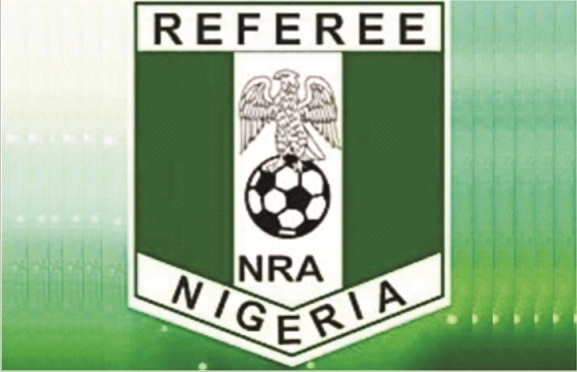 The Nigeria Football Referees (NRA) has agreed that the body shall henceforth take serious legal action against hoodlums apprehended in connection with attacks on referees. The Association shall assemble a team of lawyers for that purpose. This was contained in a communique issued at the end of the Quadrennial Delegates Conference (Elective ) held at the Rolak Hotel and Suites, Ijebu Ode ,Ogun State . The communique read in part, after due consideration of the persistent attacks on referees since the Nigeria Professional Football League, (NPFL) commenced this season, the Association has okayed the planned meeting of the NFF, NRA and the Leagues with the view to addressing the issue of hooliganism in Nigeria football. The planned meeting is coming against the backdrop of a letter the NRA forwarded to the NFF of intention to withdraw from the league over the menace. The Conference also resolved that henceforth, the Association shall without any warning signal to withdraw its members from officiating in all the home matches of any club where supporters attack its members for the rest of the season. According to the communique, the Conference also drew the attention of the NFF to its Statute and Rules which provide for deduction of points and urged the Federation to implement the rule against offending Clubs to the later in cases where referees are attacked. The Conference further reiterated the desire and readiness to sanction any referee found wanting in the course of discharging his or her duties while asking all Council Chairmen to admonish their Premier league referees to always be of good conduct before, during and after matches. That a streamlined method of Annual Registration shall henceforth be observed where the association shall after national registration, make public to the state councils names of Registered Members with Grades and Societies. The NRA acknowledges efforts of its leadership at ensuring that the NFF pays referees the remaining part of indemnities for 2017 Nigeria National League, NNL Matches and 2018 Aiteo Federation’s Cup, following a progress report submitted on the willingness of the federation to clear the indemnities. On a sad note, while mourning with the family and council of a departed Premier League referee, Late Femi Okebukola of the Oyo State Referees Council who died after a fatal auto crash on his way back home after handling a Premier league match in Maiduguri, Borno State, the NRA is hopeful that welfare packages shall be extended to the family through the Insurance policy of the association instituted each year during annual registration. The climax of the Delegates Conference was the election of new officers of the association after the dissolution of the Executive Council members at the expiration of their tenure. The subsequent election saw the re-election of Otunba Tade Azeez, as National President for another four years. Also elected are Hon Sani Zubairu (FIFA Rtd) Deputy President, Faith Irabor ( FIFA Rtd) Vice President 1 and Pastor Ijeoma Nwosu, (FIFA Rtd ) Vice President 2.